We understand that for children with SEND, moving to a new class, key stage or school can be particularly worrying and may also incur difficulties of a practical nature. As most children join us in September, as a matter of course we hold a transition afternoon at the end of the summer term, in July. On this afternoon children will meet their new teacher and class and take part in fun activities, in their new classrooms. Children from elsewhere who are due to start at the school often attend these sessions and usually find that they really help to settle their nerves over the long summer holidays! 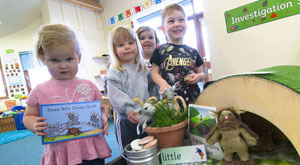 Pupils moving up to school from nursery are often already very familiar with the school environment before they start. Nursery children eat lunch in the school hall on a daily basis. They also often visit the soft play area in the family room and make use of the forest schools area. Reception teachers hold a transition day for parents and children in the summer term, in which they meet their new teachers, see their new teachers and even have lunch together in the hall! If a child is moving to us from a different school or nursery, a tour (within school and nursery hours) can be made by booking an appointment with the main school office. 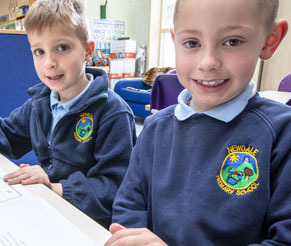 This gives children and parents alike the opportunity to see what Newdale is like on a normal day-to-day basis. Where necessary we may feel that it is appropriate for a child to have additional visits to their teacher and classroom on the lead up to the transition, this will be assessed on a case by case basis. If a child has specific physical difficulties, it may be necessary to make additional visits to the school prior to a child’s first day, in order to complete risk assessments, to ensure appropriate resources are in place and to train staff. In previous years, at this time, we have worked alongside the Local Authority’s Occupational Therapy team to ensure that appropriate procedures and resources are in place. It is the responsibility of the previous school a child may have attended to transfer any relevant paperwork to their new school. For children with SEND this will then be read by the school’s SENCo and passed to their new class teacher. If parents have any particular concerns they wish to discuss with either the SENCo or class teacher, an appointment can be made, after all your information and support is both important and useful to us! We also think very carefully about the transition of pupils leaving us in year 6 to go to secondary school. Most secondary schools in the area offer two transition days as standard, which usually take place on a Thursday and Friday (across the authority) in the middle of June. Some local schools have now started offering a full week. If a child with SEND has particular concerns about attending secondary school, we can also arrange additional visits. In previous years our Inclusion Manager has taken individual children or small groups to visit at a quieter time.